PT Djarum - Djarum is a leading privately-owned corporation in Indonesia that is involved in tobacco industry. Based in Kudus Central Java, Djarum operates primarily as a producer of cigarette products for domestic and international markets. Djarum's products include hand-rolled to machine-rolled cigarette products. 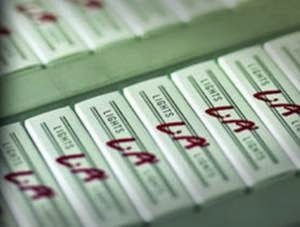 For domestic markets, Djarum produces and sell a variety of cigarrete brands with principal brands Djarum Super, Djarum 76, Djarum Black, LA Light. For international markets, Djarum's products has been exported since 1972 with principal brands Djarum Bali Hai, Spice Islands, Ten Mild. PT Djarum is widely known nationwide as the second largest tobacco companies in Indonesia as its controls about 20% of total national cigarette productions with total production of 48 billion sticks per year. Djarum's head office is registered at Jl A Yani 26 - 28 Kudus. Djarum was formed in 1951 by an ethnic Chinese businessman, Oie Wie Gwan. In 1951, He bought a small cigarette company NV Murup with brand name Djarum Gramofon. Maximum age of 27 years old and Single/not married. Minimum requirement of Associate Degree (D3) in Mechatronics Engineering, Industrial Electrical Engineering, Mechanical Engineering, and Electrical Engineering. Willing to be relocated at Kudus Central Java. Minimum requirement of Associate Degree (D3) in Automotive. JobsCDC.com now available on android device. Download now on Google Play here. Please be aware of recruitment fraud. The entire stage of this selection process is free of charge. PT Djarum - D3 Fresh Graduate Technician, Mechanic Djarum January 2018 will never ask for fees or upfront payments for any purposes during the recruitment process such as transportation and accommodation.